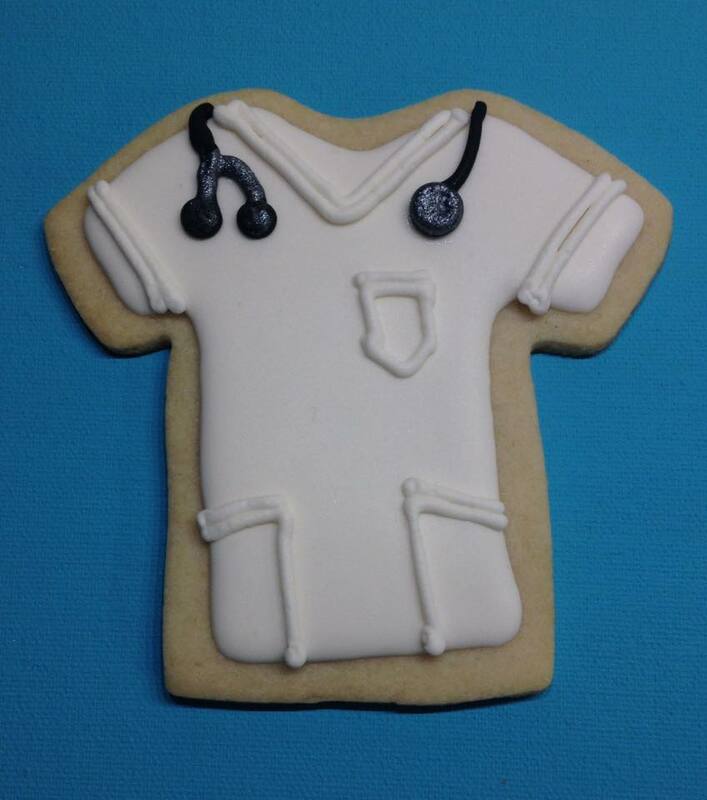 These sugar cookies were made for an awesome doctor and his office. 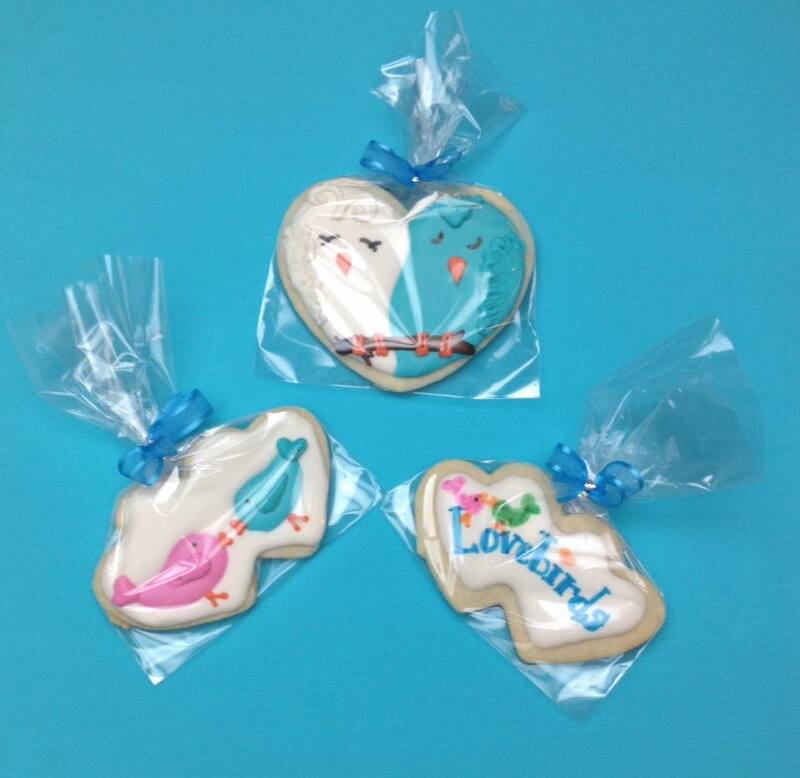 My almond-vanilla sugar cookies were flooded with royal icing and then royal icing details were piped on. The stethoscope bell and ear pieces were painted with edible silver. …as were the dots on the band aid. 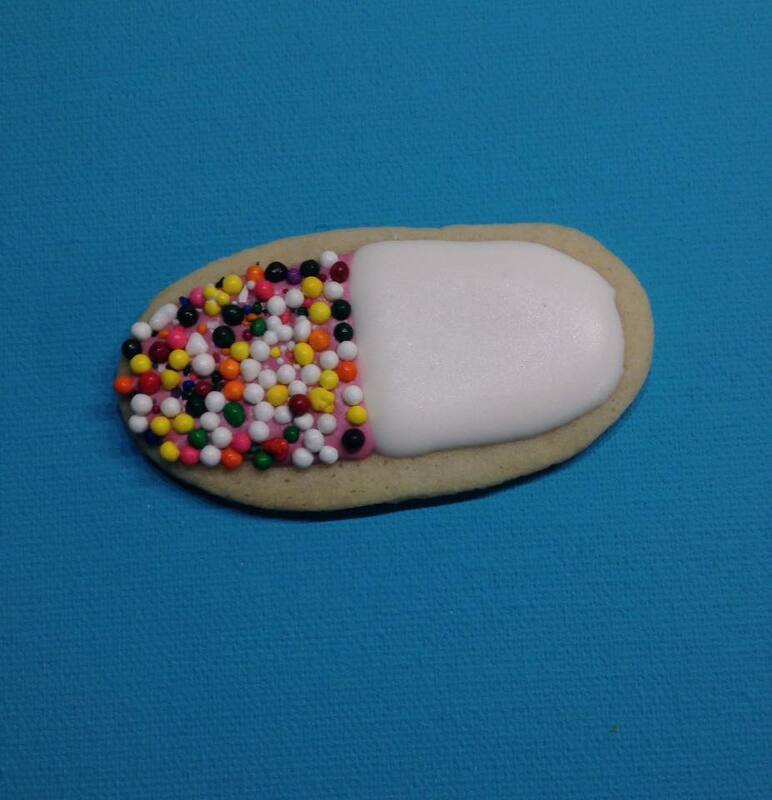 Half of the pill was coated in multicolored candy ball sprinkles. 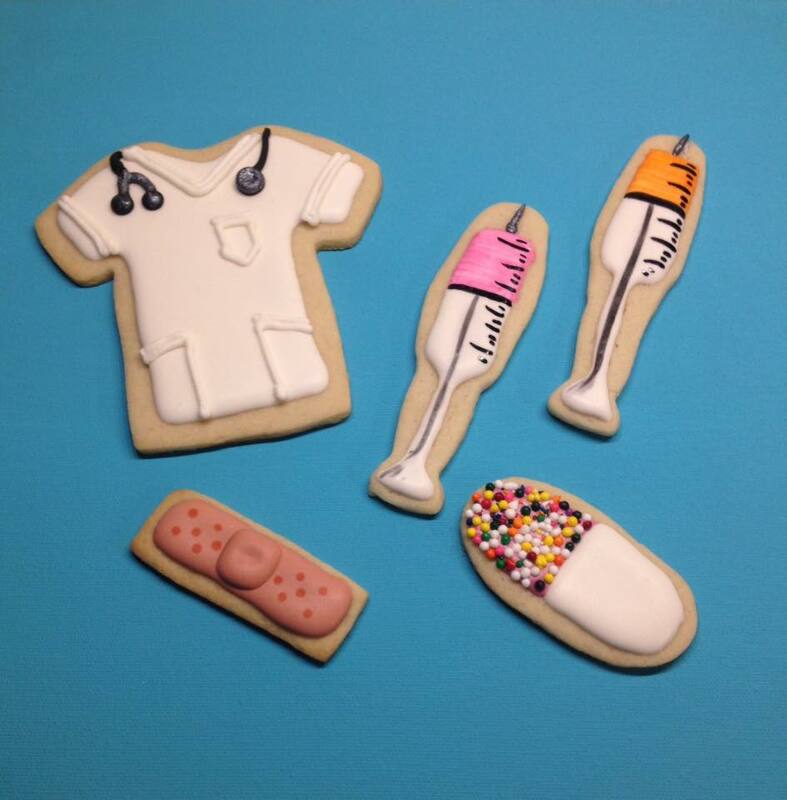 These cookies are definitely just what the doctor ordered!! Posted in UncategorizedTagged bandage, cookies, doctor's office, medical, pill, royal icing, scrubs, sugar cookies, syringeBookmark the permalink.